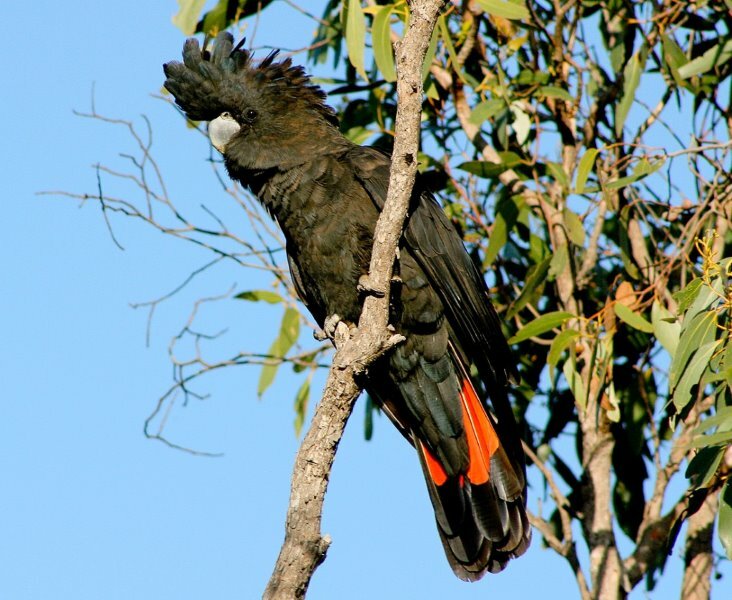 Fire is a key threatening process for the South-eastern Red-tailed Black-Cockatoo. Extensive and intense bushfires and inappropriate burning of the cockatoo’s stringybark feeding habitat can seriously impact the food resource for this species, particularly where canopy scorch is excessive. Past research has shown that where canopy scorched has occurred, it takes an average of 10 years for the stringybark food trees to return to their previous level of seed production (Koch 2003). As food availability is the primary factor limiting population size, any reduction in food availability poses a serious threat to the Red-tail population. Therefore, maintenance of long unburnt habitats and/or a low proportion of canopy scorch in stringybark within any 10 year period are essential to maintain the food supply and recover the Red-tail population. Fire management in Red-tail stringybark habitat continues to be a high priority for the Recovery Team given the increased pressure to manage the threat of wildfires through fuel reduction burning, and the implications of this on food availability for Red-tails. 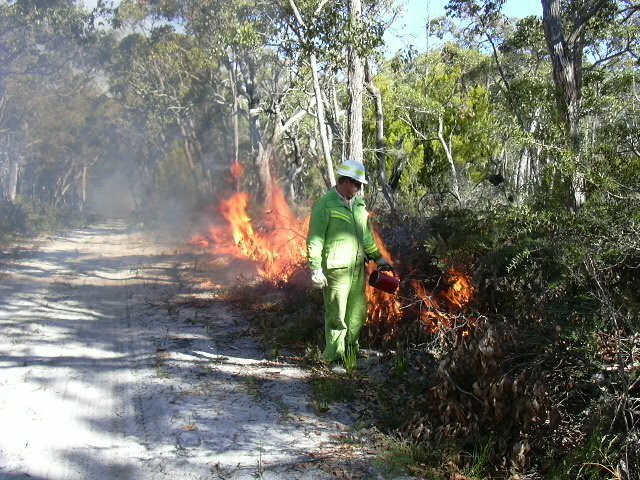 Maintenance of a low proportion of canopy scorch, and/or stringybark habitats that are long-unburnt to maintain and secure the food resource for Red-tails. Maintaining at least 85% of stringybark habitat unburnt in the previous 10 year period. The percentage of SERTBC habitat subject to canopy scorch in the last 10 years increased to 23% in 2013, with percentage scorch projected to reach between 25-27% following DELWP's 2014 autumn burning program. This is well beyond the 15% target and is of high concern to the Recovery Team. Avoiding or minimising burning in areas on park dominated by the less abundant Eucalyptus arenacea (Desert Stringybark). 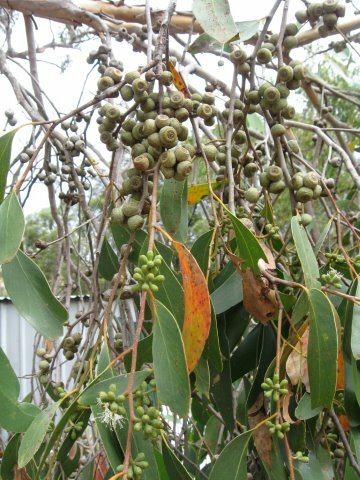 E. arenacea is considerably rarer than Eucalyptus baxteri (Brown Stringybark), and so any impact on seed productivity of this species will have a disproportionately large impact on Red-tails. Furthermore, current research by the Recovery Team in conjunction with UQ is showing nests are significantly more likely to occur within 3-4km of large blocks of E. arenacea. Applying and refining low-scorch burning practices that aim to reduce fire intensity and canopy scorch to allow for quicker recovery of stringybark trees to full seed production. Protecting known and potential nest sites from fire. Minimising burning Red-tail habitat that is carrying high seed loads, and/or carrying the most recent seed crop. Continuation of pre-burn assessments to identify high quality seed crops or areas carrying the most recent seed crop prior to burning is essential. Applying seasonal delays in burning where >20 birds are feeding. Deferring burning in areas where Red-tails are known to be nesting until young have left the nest. Minimising burning feeding and nesting habitat during the breeding season (September to February). Providing expert advice and continuing to work with Government agencies such as the Department of Environment, Land, Water and Planning, Department of Environment and Water (DEW) and Forestry SA to strategically manage fire in Red-tail Habitat. Undertaking post-burn canopy scorch monitoring to determine the level of scorch and if fire management targets have been met. To e nsure and maintain the current food supply for Red-tails, the Recovery Team believe that all ecological and fuel reduction burns carried out across the range in stringybark habitat are undertaken in accordance with these guidelines, and those as outlined in the Department for Environment and Water (DEW) Ecological Fire Management Strategy for the South-eastern Red-tailed Black-Cockatoo in South Australia. Of particular importance is the need to maintain a low proportion of canopy scorch, and/or areas of long unburnt habitat, not only for the benefit of Red-tails, but for many other native flora and fauna, particularly small mammals, which are dependent on these habitats. The Recovery Team has calculated that the historical average percentage of stringybark within the SERTBC’s range that had experienced canopy scorch in any 10-year period is approximately 15%. Because the Red-tail is limited by food availability, any increase in canopy scorch extent beyond an average of 15% is likely to result in further reductions in the Red-tail population. It is recommended then that at least 85% of Red-tail stringybark habitat across the species’ range in Victoria and South Australia remains unburnt at any one time in any 10 year period. 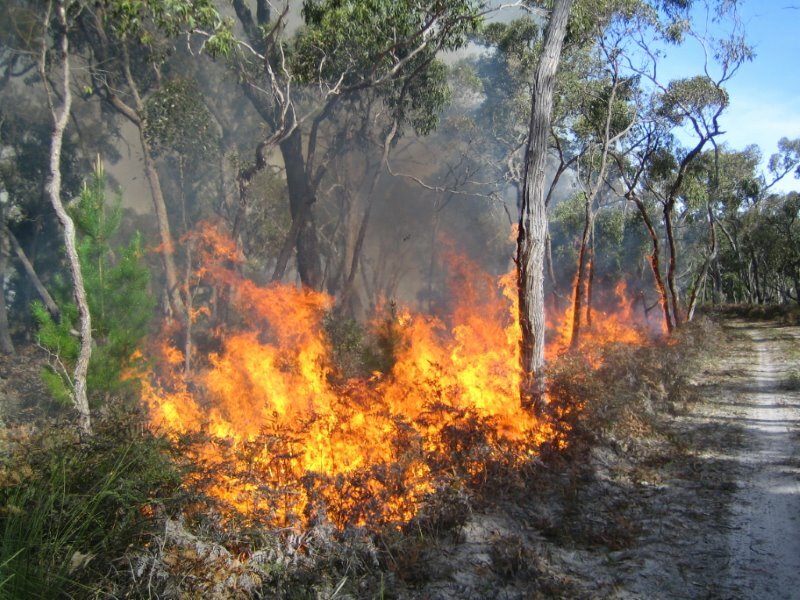 Furthermore, the Recovery Team advocates that all burns conducted in Red-tail habitat are carried out using low-scorch burning principles that aim to reduce fire intensity and canopy scorch to allow for a much quicker recovery of stringybark trees to full seed production. The Recovery Team continues to work with Government agencies in both Victoria and South Australia to manage the impacts of fire across the Red-tail range, and secure the food resource for the cockatoo. One of the most important steps toward recovery of the Red-tail population is the agreement with the Department of Environment, Land, Water and Planning to limit the amount of stringybark on public land that has been crown scorched in any 10 year period to 15%. The DELWP is committed to this target and is actively working with the Recovery Team to reduce the current level of canopy scorch back to this target. The DELWP also continues to undertake a number of pre-burn assessments to identify those sites carrying the greatest seed loads. Those sites carrying the highest quantity of seed are then considered for deferral. Each year a number of high quality sites are deferred and protected from being burn as a result of these assessments. Our work has helped to ensure that the most exceptional seed crops are protected from proposed burning. For more information on fire management or questions relating to burning in Red-tail habitat please contact the Project Coordinator on 1800 262 026 or email redtail@birdlife.org.au. 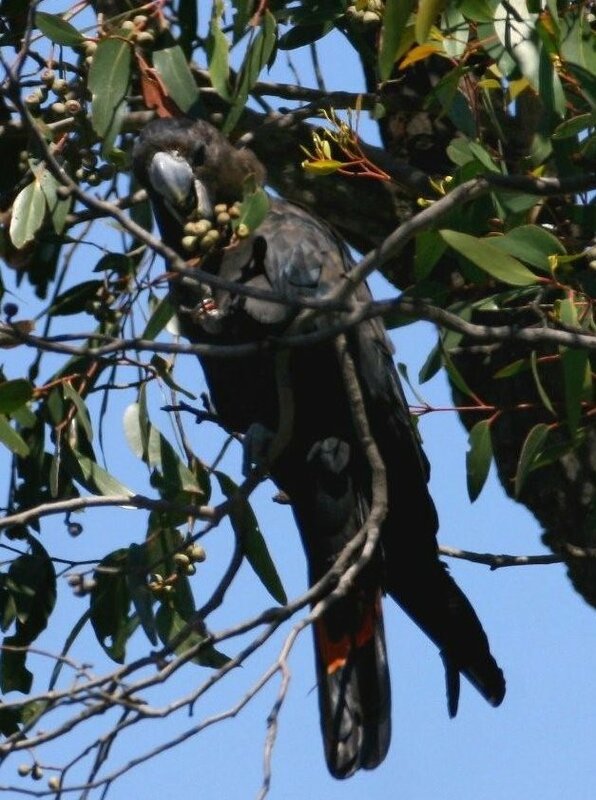 To view the Department for Environment and Water (DEW) Ecological Fire Management Strategy for the South-eastern Red-tailed Black-Cockatoo in South Australia please click here.